Assembly Bill 645 in 2010 amended the seal regulations making it no longer required to include the expiration date on engineer seals or when signing documents. An expiration date can not be added to the California bear stamp. 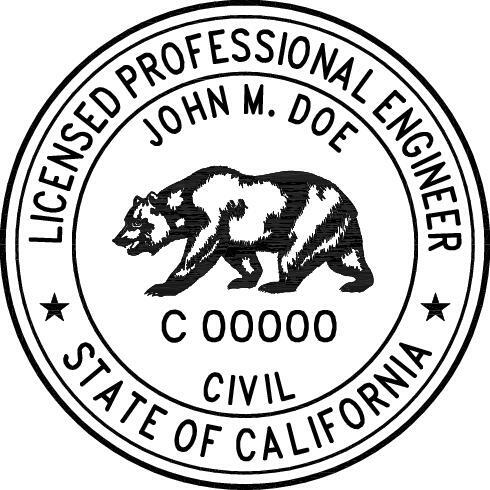 The state of California requires the professional engineer stamp to have a minimum size of 1 1/2 inches. We offer the California professional engineer stamp in two sizes; 1 1/2 inches and 1 5/8 inches. 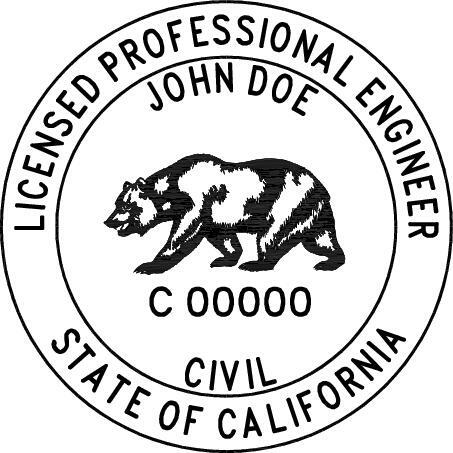 In case you have any questions on the California professional engineer stamp requirements or any other regulatory questions, we have included the California Engineer boards contact information below for your convenience.